Has the R.A.T. finally met its match? 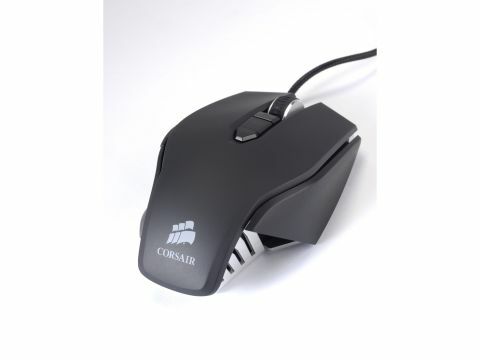 This Corsair Vengeance M60 mouse represents the next step for Corsair – peripherals. Specifically, high-end peripherals designed for the gamer who's prepared to pay a little more for a rugged build and enhanced usability. The Vengeance M60 FPS gaming mouse is a prime example of that – premium components, eight-button functionality, and all the extras like adjustable DPI buttons and a mega-low DPI 'sniper' button that's rapidly becoming the standard for a gaming rodent. Corsair has a pretty impressive pedigree across a number of fields. The Californian company started out producing L2 cache modules, and today it's still go-to guy for performance RAM like the Vengeance and Dominator DDR3 ranges. In recent times we've seen speaker systems, power supplies, PC chassis and USB flash drives all bearing the Corsair name, and by and large it signals a mark of the highest quality. The specs for this new mouse are impressive, but can Corsair really pull off a flawless debut into the mouse market with the Corsair Vengeance M60? Perhaps unsurprisingly, the answer's yes.